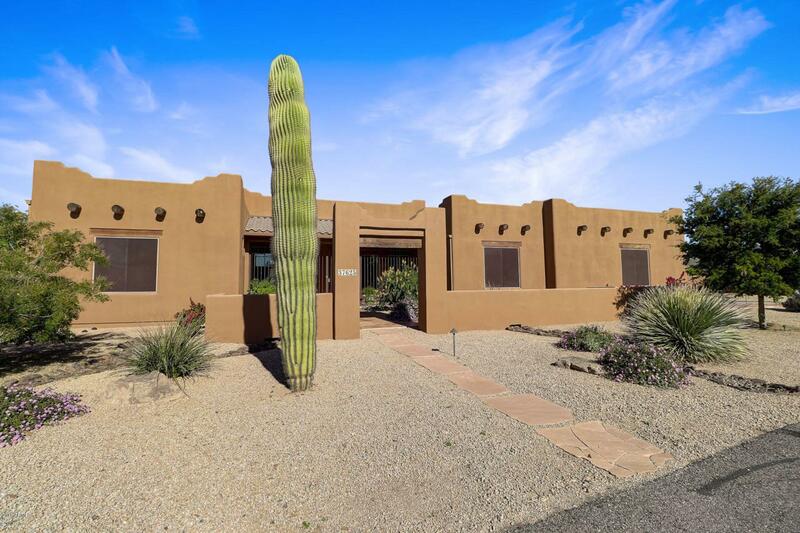 Gorgeous 3,560 sf custom built home with fantastic mountain views on an acre in north Phoenix! Quiet cul-de-sac, large 4 car garage with built-in cabinets, and 24' RV gate & plenty of space for all your toys! No HOA = no height restrictions on RV, boats, etc.!! 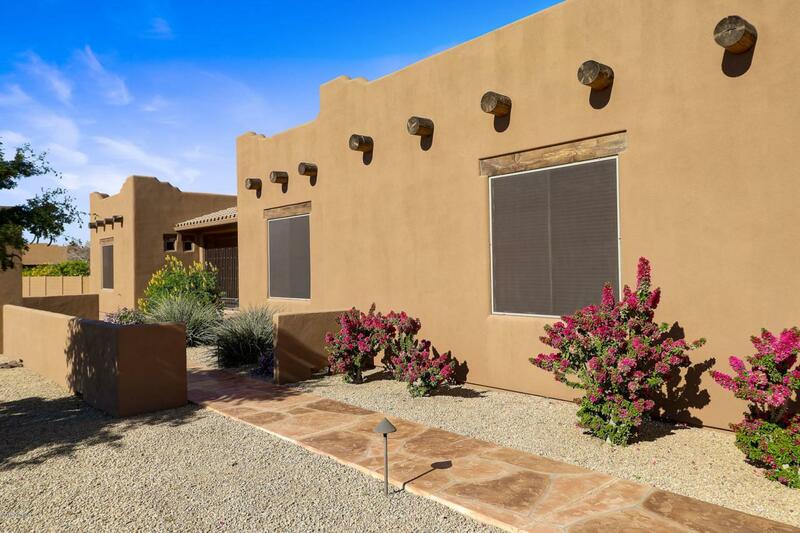 Beautifully manicured desert landscaping and enclosed gated covered entry way welcomes you. 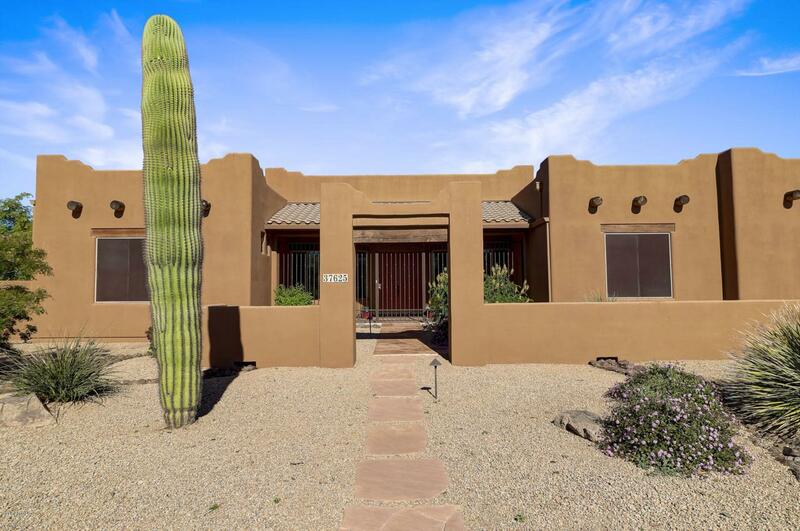 Interior features include 12 ft ceilings, tile floors throughout, media room w/wet bar & wine cooler, gourmet kitchen with granite counter tops & knotty pine alder cabinets, stainless steel appliances, and center island. 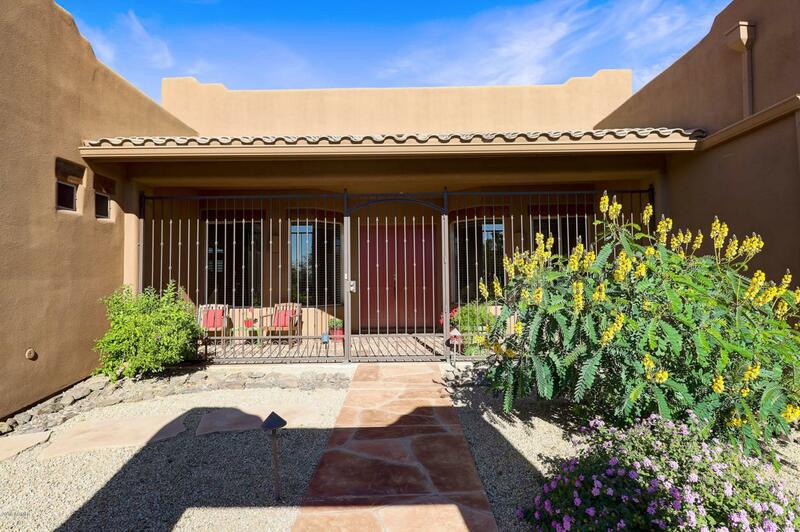 Enlarged master suite with private exit to the backyard, master bath has his & her vanities, jetted tub, walk-in shower w/glass block accents, & granite counters. Plenty of closet space for storage.